Just in case you missed it I have something great going on right now. That’s right… Don’t forget to stop in and enter my Silhouette contest! You could win a Silhouette CAMEO and rhinestone kit! someone who could use some puppy love. Are you ready? 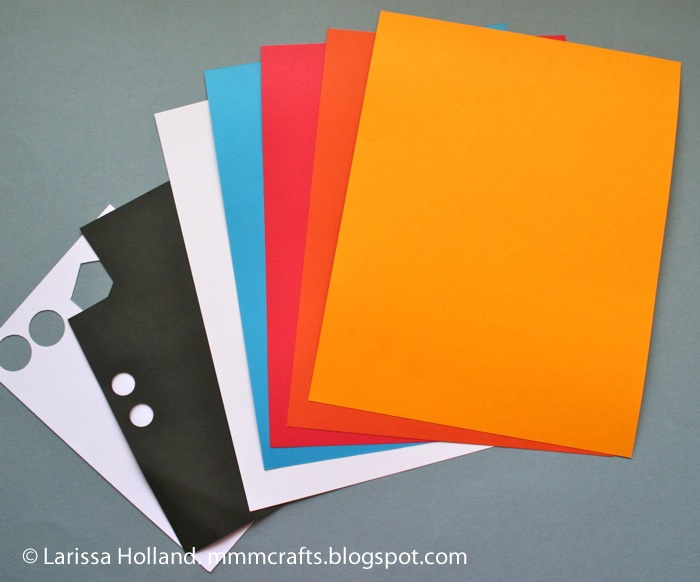 1) Download the PDF template, open it, and follow the directions on the template to print on your card stock. 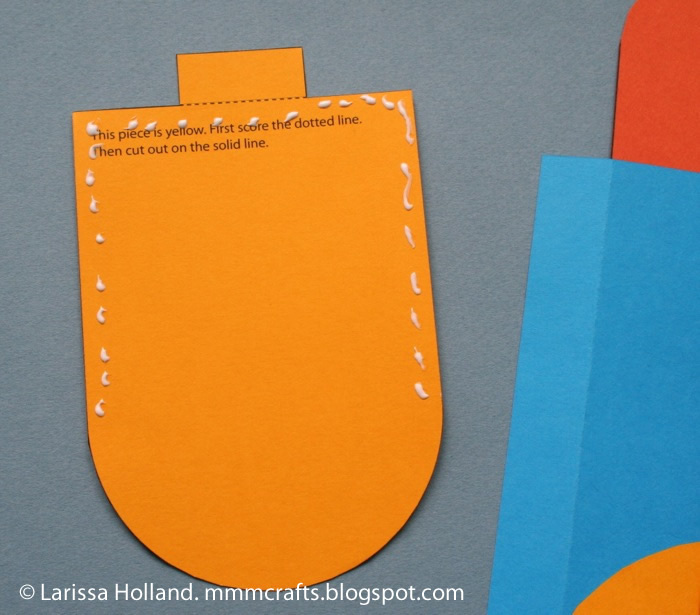 *Get a grown-up involved if you are using a craft knife. It’s sharp! card and have an extra to make another card later. 4) Glue the tongue to the ear piece. Note the writing is facing up on the ears and facing down on the tongue. 5) Glue the semicircle to the bottom of the blue piece, flush with the bottom edge. Note the text is face down on both pieces. 6) Feed the tongue through the slit from the back. 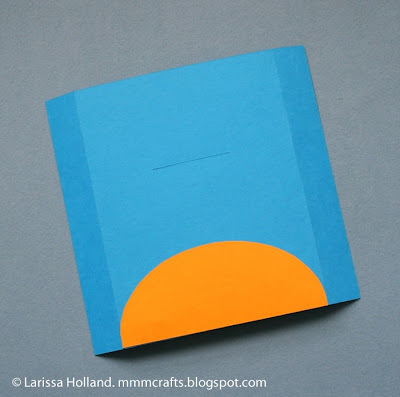 7) Put glue only on the top and sides of the text side of the head and center it flush against the top edge of the blue. two white 1 inch circles and two black 5/8 inch circles. Make eyes by gluing the black onto the white. 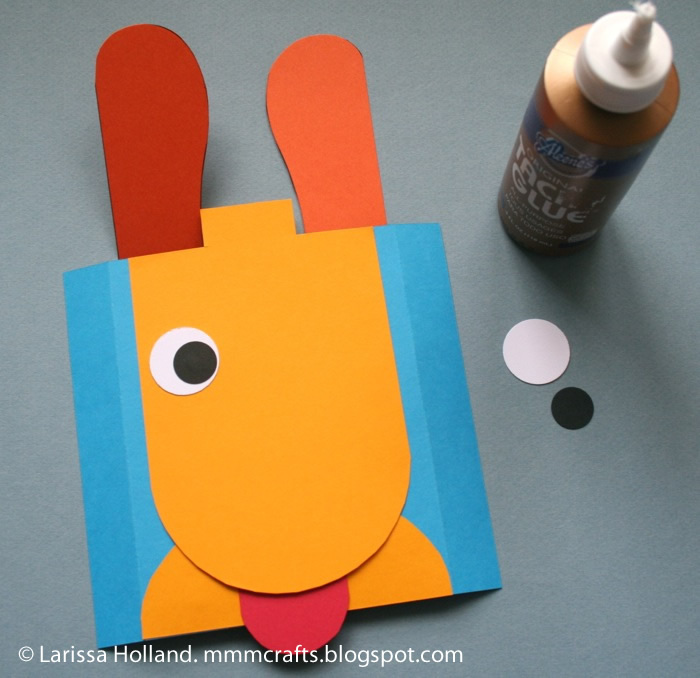 Then glue the completed eyes on, being sure they are in a spot that is hidden by the ears when they are folded down. 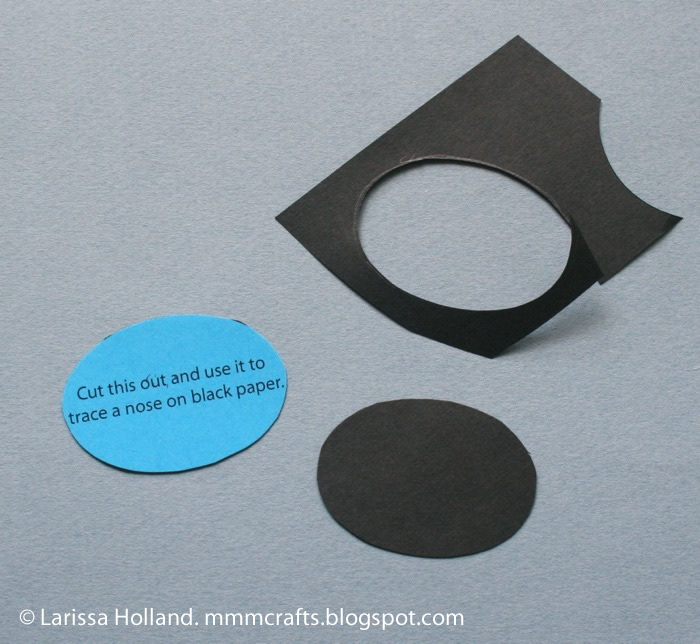 9) Use a template piece to trace a nose on black paper with pencil. Cut it out and glue to the face. 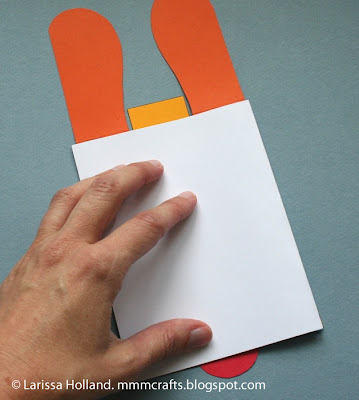 over the blue side flaps toward the back and crease them well. 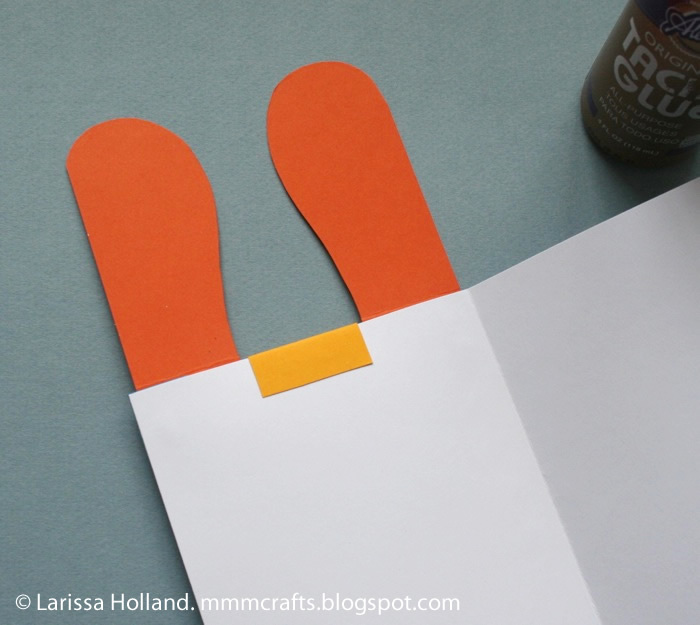 each flap, then glue to the front of the card you made in step 3. It’s easier to add the card to the back of the puppy instead of the other way round, but be sure you have the card opening on the correct side. 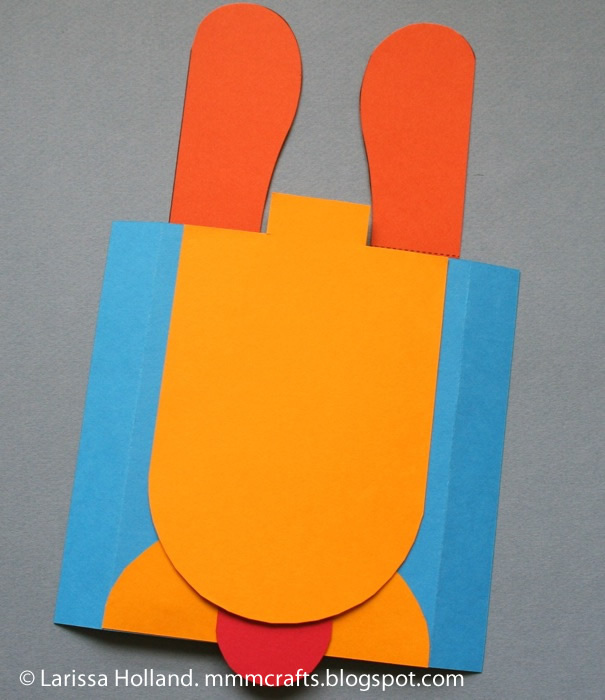 12) Open the card and fold over the yellow flap between the ears and glue it to the inside cover of the card. 13) Test the ear action! 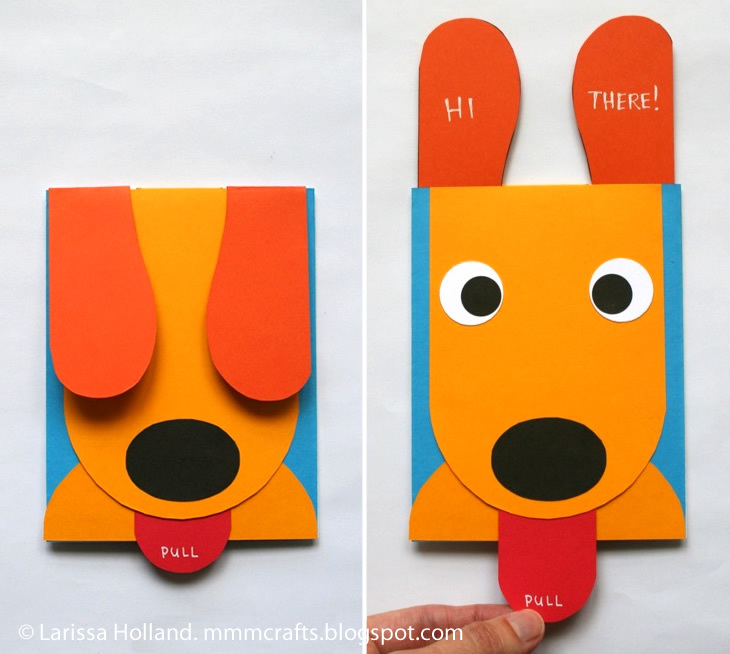 Pull the tongue down and watch the ears flip up! Push the tongue back inside and the ears can fold back down. Tada! Your Puppy Ears card is now finished! 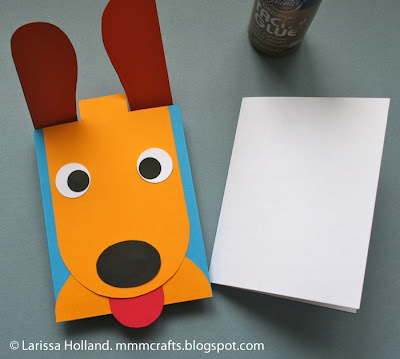 Write a note on the inside of the card and send some silly puppy love in the mail. 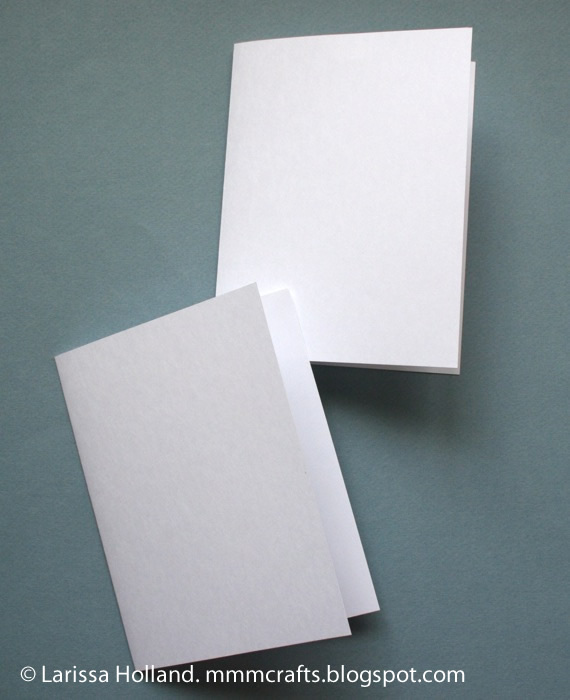 This card fits in a 5 x 7 inch envelope. Please enjoy this template and tutorial for your personal use! Commercial use is not allowed. Please don’t pin or post any in-progress shots, or repaste my text. Feel free to pin or post the finished card with a credit and a link back. Thanks! Hi Cindy!! Your card is adorable!! I've printed the template & hope to make it this afternoon as a "dry run" before my 8-yr old granddaughter arrives on Tuesday. She always wants to craft with me & I thought this would be a great card for her to make. Thanks SO MUCH!! for your amazing idea & the FREE template! Huggs to you! I loved your work of art, it could only be translated into Portuguese ... but congratulations nonetheless! big kiss. 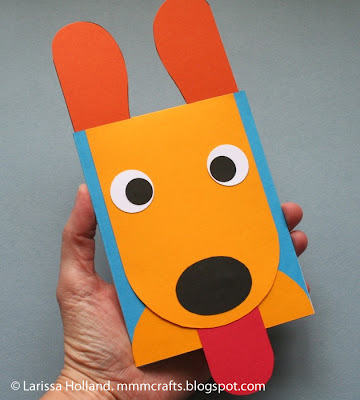 Love the card - I made it into a puppet using Foam square on my Cricut for my Grandson. Thank you for the excellent tutorial. after downloading the template the card came out much smaller than 51/2 x 41/4inches. it was 3x4. is template wrong size? 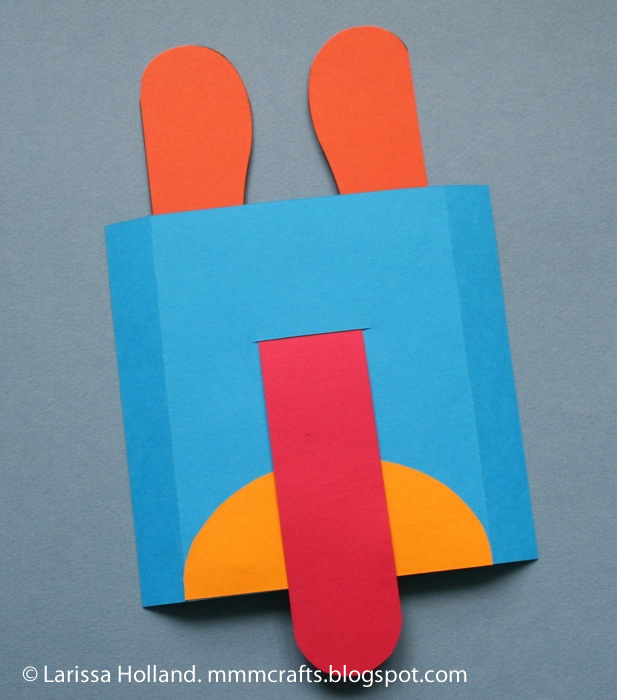 It is the 2nd card wich I make. It pleases me a lot. Thank you for the tuto. Just wanted to thank you for sharing this card with the template. 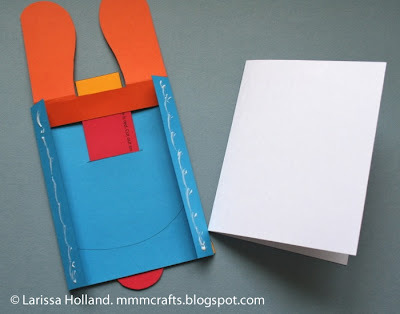 Such a beautifully engineered card and such fun to make! Have made six of them... Four for grandchildren and a couple to have around... Thank you! Hello I just tried making this card twice. I can get the ears to go up but not back down any suggestions what I am doing wrong! I just did it for the Hello song for my primary kids. I can't pull neither set ears back up at ALL. I'm so sad!!!! Please! help! Loved the dog!!! Very good directions. Thank you for sharing your talent. My grandson will love this card! I made this card this morning for my 16 year old son for his birthday and he loved it!!! What a wonderful, ingenious card. Can't wait to make it for one of my grandsons. Thank you SO much for sharing this wonderful tutorial with me. wanjt to suggest you some interesting things or tips. Thank you so much for the template! I just made this for my sister and it turned out great. 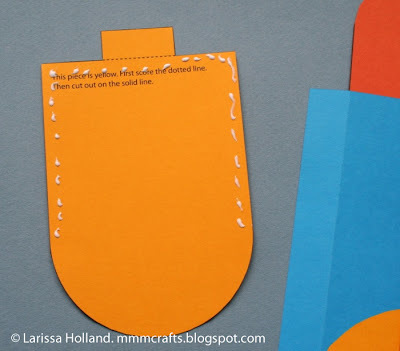 The only trouble I had was that the dotted lines didn't appear on my printed templates, but that was easy enough to figure out. Perhaps it was because I selected 'black only' for printer ink? I'm going to make this for my great grandbabies. Thanks. 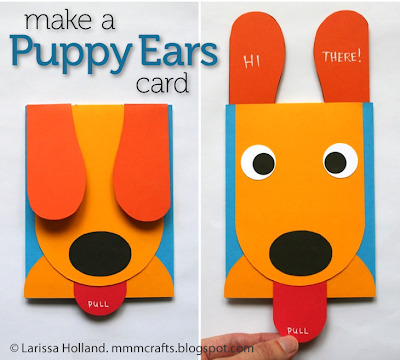 Hello, I loved this card on sight, and decided to make it for my little great grand daughters birthday, but I cannot get the ears to fold back down once they have popped up!!! any suggestions please?? Love the design and am trying to use the idea for an Easter Bunny from your pattern! Thanks so much for sharing! 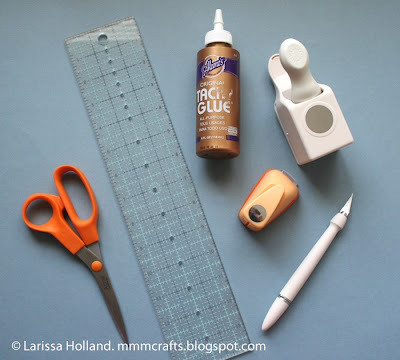 Thanks for sharing this super cute tutorial! what a cute card!! thank you so much! Using this as a Christmas card for my parents from the dog! Very clear instructions!!! Thanks again!!!! Thank you so much for sharing the template to this adorable card. I can't wait to make it. It's a funny idea. I'll make for my son. My 5 yr old daughter and I just made this for a friend's birthday. 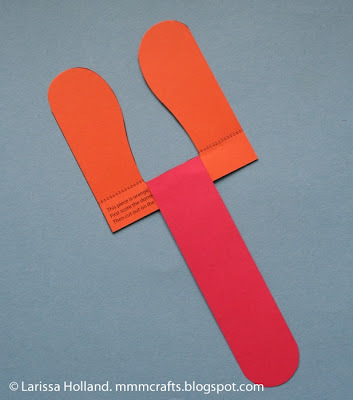 To make it more feminine, we used light and dark pink paper instead of orange and yellow and added purple hairbows (making sure they were far enough down that they didn't get stuck when the tongue was pulled). Thanks for the idea! I love it! My granddaughter age 7 and I made this while she was staying with us this summer. What fun. Thanks for the idea , template and instructions. superbe carte animée; je vous remercie pour les explications. This is a great card. Mt great nephue will love it for his birthday. That is cute as cute can be. It would tickle me to get a card like that. I cannot seem to download the template that goes with this card -- love the idea. Please help. What a wonderfully cute puppy. Thanks so much for sharing this great card! 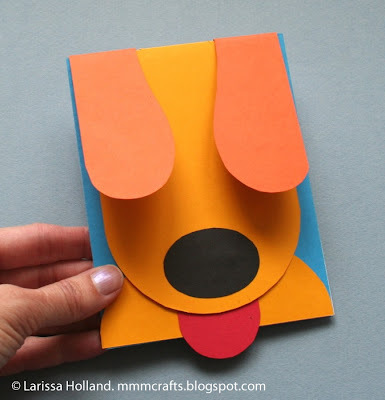 Oh my that's the cutest little puppy card! Can't wait to make it with my munchkin! This is so cute! I'm going to make some of these for child birthday cards. So cute! My son would love this.